What would make the Autumn Internationals a success for Eddie Jones and England? 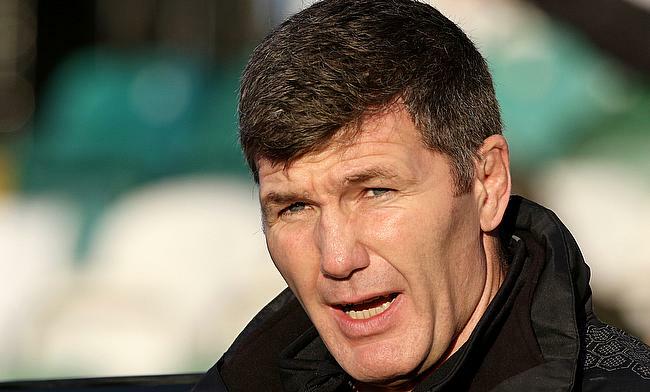 Exeter Chiefs coach Rob Baxter has ruled himself out of a possible chance to succeed Eddie Jones when the latter's contract comes to an end. Jones, who took in charge of the red rose team post 2015 World Cup recently signed a contract extension with the Rugby Football Union until 2021. RFU interim chief Nigel Melville said he will discuss with Warren Gatland, Stuart Lancaster and other English coaches to prepare a high profile list of possible candidates to take over from Jones. However, Baxter, who had stupendous success with the Chiefs including a Premiership title win in 2016/17 season said he is currently enjoying his role with the Sandy Park outfit. “I would say it would be unlikely if I’m honest with you,” Baxter said on the Will Greenwood podcast on Sky Sports. “I don’t want to do it yet. “Obviously it’s an accolade and it’s coaching at a high level. What would really excite me is working with a different group of players, some of the best players in the country which means that they’re some of the best players in the world. “Some of the players who are involved with England I’m a huge respecter of, and it would be fantastic to work with some of those guys. It would be fantastic to see what you could achieve against some of the best teams in the world. Baxter played for Exeter for 14 years in which he captained them for 10 years and in May 2009 he took over the head coach role of the club and in his first season he led them to a promotion from the RFU Championship to the Premiership. “I’ve got unfinished business with [Exeter]. I like being the director of rugby at Exeter, I work with people I like. It’s an enjoyable situation; I work with players I like and I want to see the fruition of where the club can go to. “My family are very comfortable living here and they enjoy the situation that we’re in at the moment."